ss N.G. 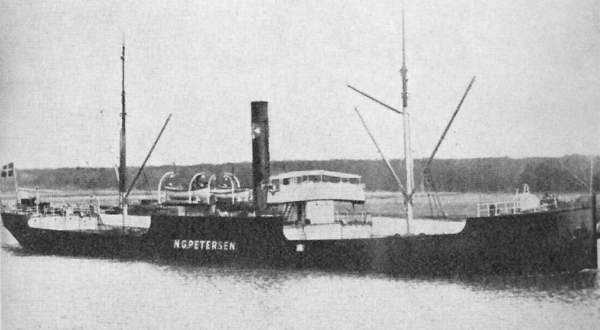 Petersen, built 1898 and owned by A/S Dampsk. Selsk. Vendila (Svendsen & Christensen), Copenhagen. She was lost while at anchor in Falmouth Bay on March 13, 1918, due to a collision with Norwegian ss SIRI while in convoy. The vessel was carrying a cargo of iron ore, which is most of what remains. Maximum depth is around 22m on high water. Recent ships at anchor have disturbed parts of the wreck making it a little more interesting. Known for it’s resident conger eels, which lay in wait under the remains of the hull. Most of the hull has collapsed, there are some winches and chains as well as some other large pieces lying around. 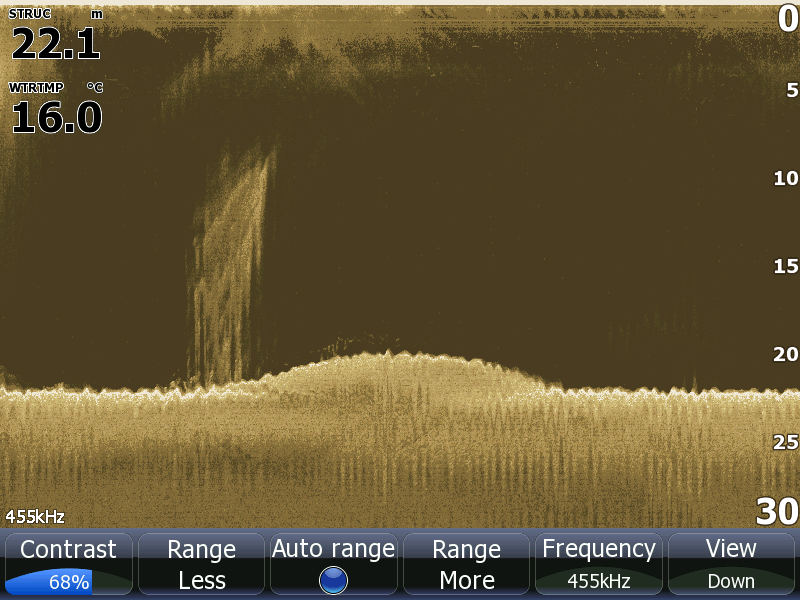 On a good day, it can be a cracking dive with lots of life. NG Petersen at high tide, showing the mound of iron ore just to the right of the divers bubble columns.